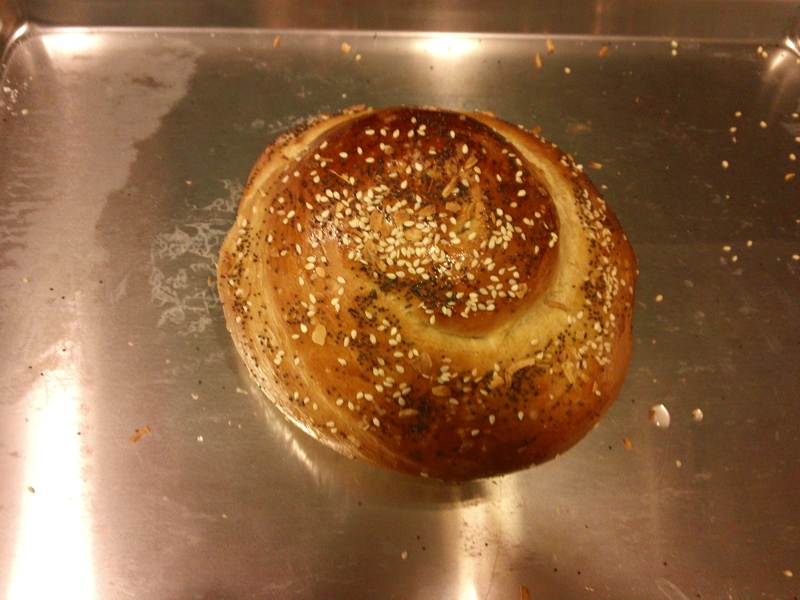 Happy New Year, and this is it: I followed this project through and wrote about all my Shabbat meals for 2011! For most of the year, I reported on what happened without going too far out of my way to find things to write about. 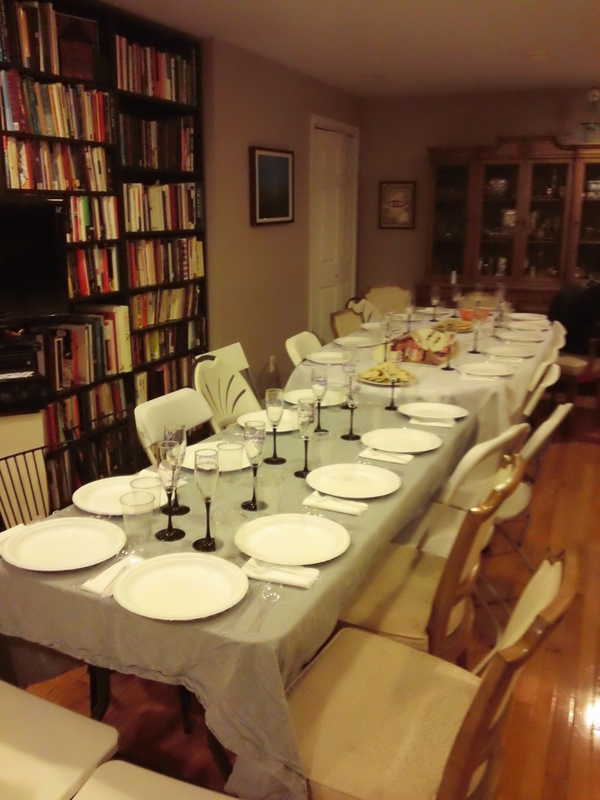 But, in honor of the final Shabbat of 2011, I orchestrated two incredible meals (I’ve decided 2012 is not the time to be bashful). I cooked my heart out, and I encouraged my friends to do the same. The results transcended my expectations. So did the leftovers. It was blogstravagantic. 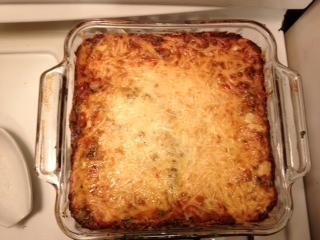 I started cooking Thursday night. Actually, I reserved Thursday for baking. I kicked things off by making a double batch of round challah — it is the new year after all! I made 2 “everything” loaves and 2 craisin loaves with Mattea’s recipe, and I think everything challah will be my new standard. 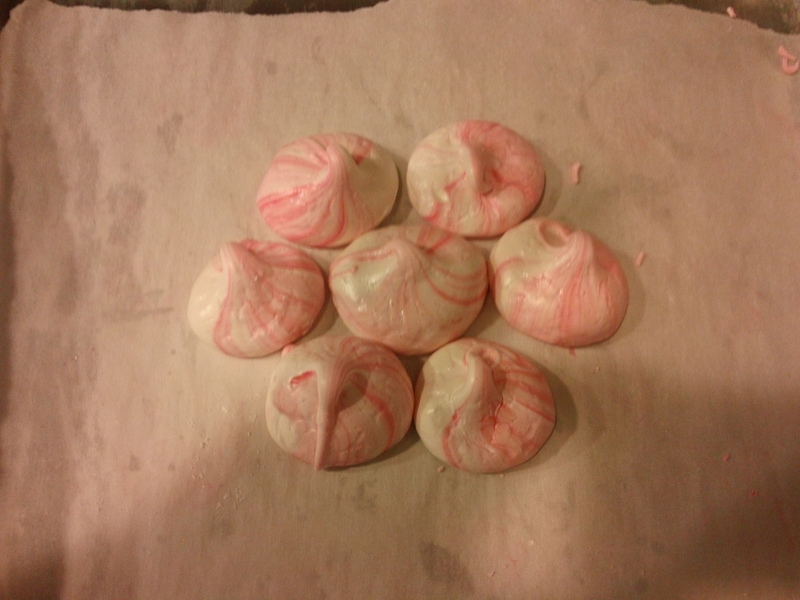 I also made meringues for the first time ever, inspired by a Bon Appetit recipe for peppermint meringues. I have a nostalgic thing for meringues because a close family friend always use to make them when I was a kid (I also wrote a play about meringues in college, but that’s another story). Friday morning, I woke up giddy about everything that lay ahead, and I got right down to the cooking. Rebecca and Mattea came by to help, we made most of the lunch food (see part 2, coming soon), my favorite mac and cheese, and favors for the dinner guests. So here was the conceit: Invite a huge crowd for Friday dinner and encourage everyone to make their favorite/fanciest/most impressive dish for, as Marc said, “the fanciest potluck anyone’s ever been to.” We ended up with 21 people, all seated around one long table, with assigned seats (the champagne flute favors had everyone’s names on them). 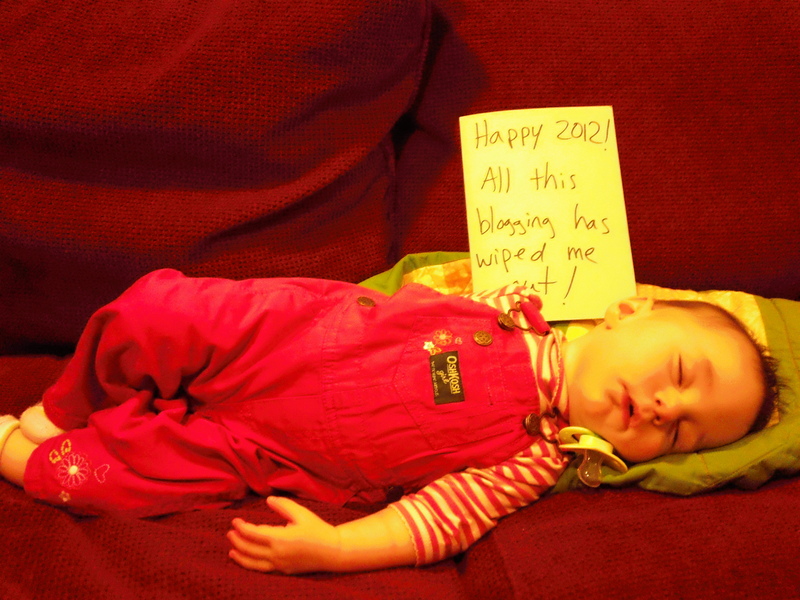 Then, in part to gear people up for the next year of blogging, I asked everyone for a recipe and a picture. Don’t get overwhelmed – just imagine how overwhelming the eating was! And, while some may say I have a proclivity towards over-ambition when it comes to cooking/entertaining, especially with a baby around, somehow it all came together. Aileen and Brian (who get the award for traveling from the farthest away to be here) brought wine and kosher organic Finger Lakes grape juice. Belina brought vodka. Edward made seltzer. Marc made a couple of pitchers of champagne punch and kept coming up with various other chocolate-y alcoholic creations as the night went on. Only one involved 99 Bananas. Alex made crackers and red pepper spread; as previously stated, making crackers is just impressive. Allison made a salad with pears and I don’t even know what else. But fancy. Susan made mushroom salad, and I was a bad host by refusing to try it even though she said it’s the best most delicious way to eat mushrooms. I just couldn’t do it. But I was so happy for other people to enjoy! Marc tried a new version of honey butter salmon in toothpick-appointed appetizer portions. Start with boneless salmon fillets at room temperature. Melt a stick of butter and an approximately equal amount of honey in the microwave. Put the salmon in a nice glass baking dish that your wife recently gave you for Chanukah. Smother the salmon in the sauce, cover with tinfoil, and put in a 250 degree oven for about an hour. It’s done when a paring knife easily goes into the salmon. Rebecca’s cheesy spinach artichoke dip is an automatic crowd-pleaser, and since she cooks by feel rather than quantity, yours might turn out a little bit differently, but with this combination of ingredients, you’ll be fine. Mix ingredients together, put in pan top with more cheese bake till cheese is golden, melted and delicious…let cool or you will burn your tongue! Warren, of course, out-fancied everyone by making potato fennel soup and individually garnishing 21 bowls of it with fennel and smoked salmon. Things just got crazy here. There was so much food. 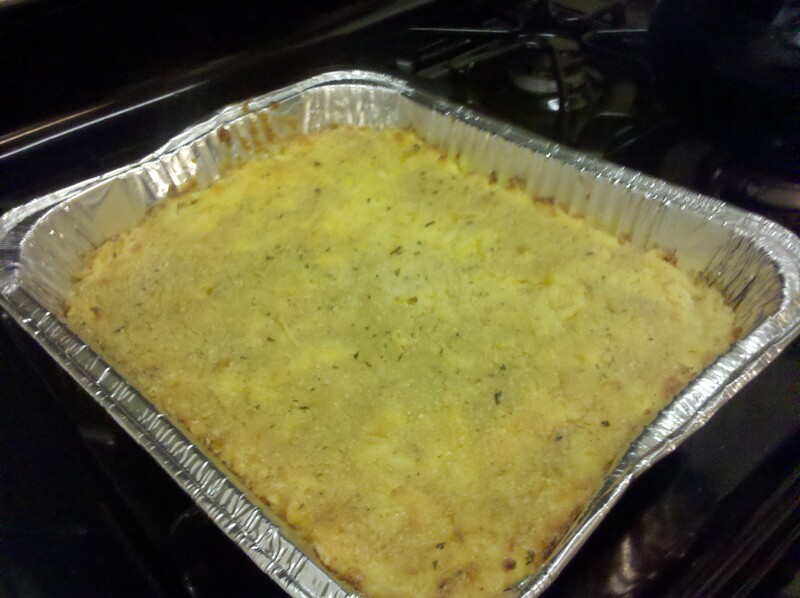 As previously mentioned, I made my mac and cheese, since it’s one of my favorite things to eat and has been the most-often requested recipe over the course of the year. This might have been my best batch of it yet. I credit Rebecca’s stirring. And the full-fat cheese and cream cheese. Oh yum. 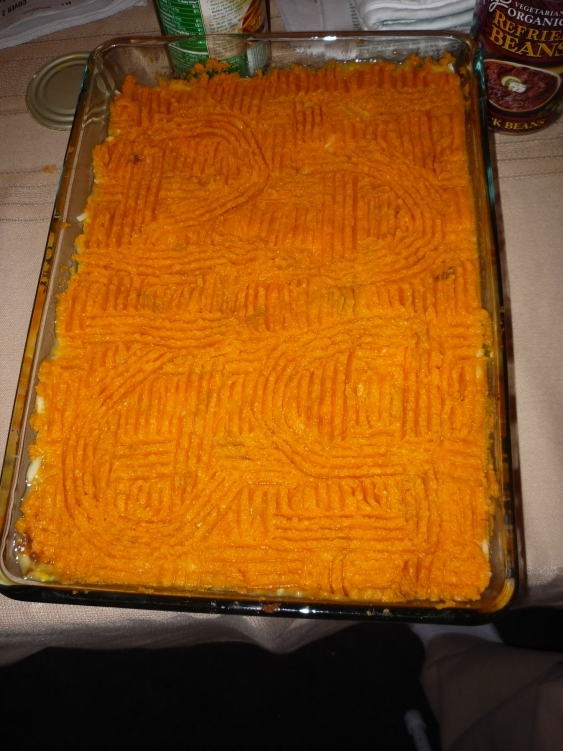 Josh made Shepherdess Pie and takes the award for best blog homage. Check out the design in the sweet potatoes. Emily made Penne a la Vodka, which I don’t think I’ve ever had before. But clearly I liked it, since it’s the thing I was eating cold out of the dish in the kitchen during clean-up when I really, really didn’t need more food. Prepare the penne according to package directions. Set aside. Melt the butter over medium heat and when it begins to bubble add the onion. Stir frequently. When the onion is translucent and soft, add the garlic and sauté for an additional two to three minutes stirring constantly. Add the vodka. Cook until most of the vodka has bubbled away. Add the cream and the tomato sauce. Let the sauce simmer for about twenty minutes or until thoroughly heated. Add in the parmesan, crushed red pepper, salt, and black pepper. 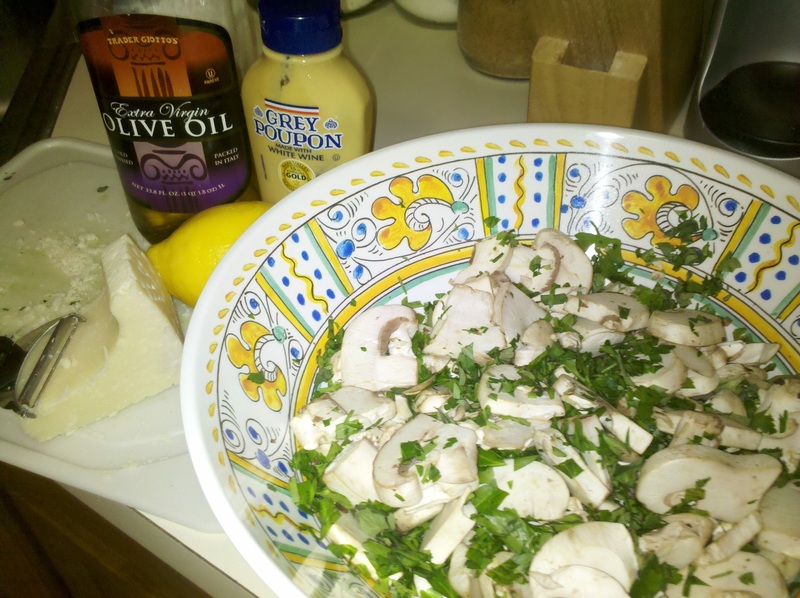 Pour the sauce over the pasta and just before serving sprinkle chopped fresh basil over the pasta. Alex also made stuffed mushrooms and while I stayed away from her mushrooms, too, I did eat the eggplant filling and watched the mushrooms themselves disappear. Again, happy for others to enjoy. I just don’t do fungus. 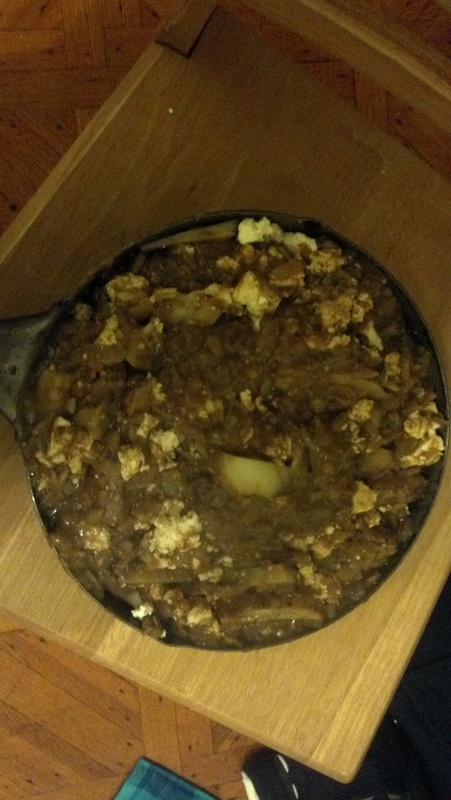 Deborah has been working on perfecting her Poutine, and shared the latest version with us. I seem to have just the ingredient list, so based on that and the picture, you should be able to reconstruct it! 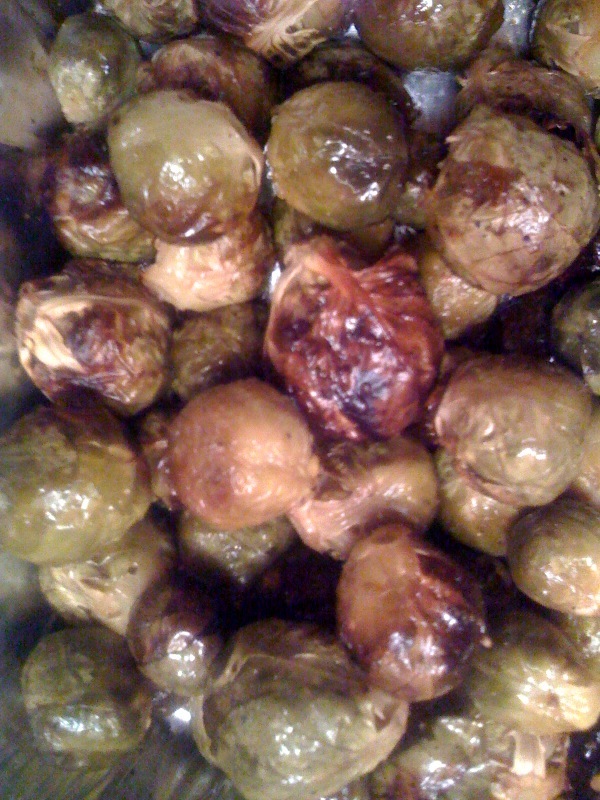 Ariel honored Ilana by making roasted Brussels Sprouts, which were delicious and provided some much-needed relief from all the dairy. 3) Mix brussel sprouts with oliver oil, kosher salt, black pepper, garlic (optional), & lemon juice (optional) — I didn’t really measure anything, just put in some of each, enough to coat and season. 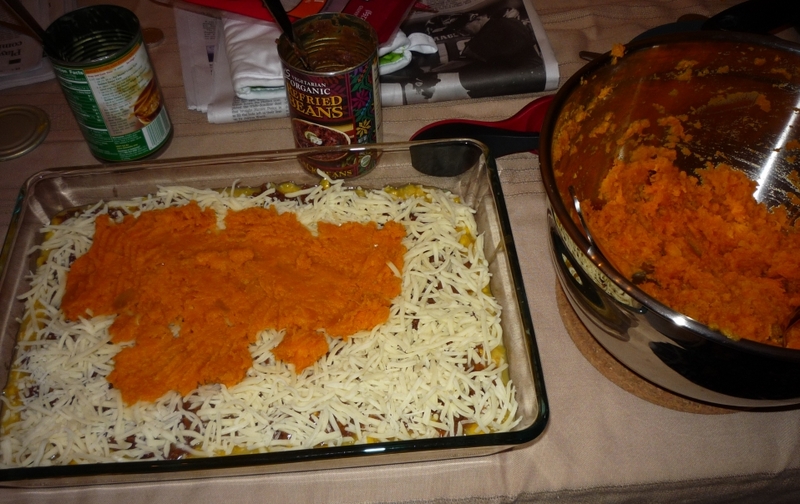 4) Spread on baking sheet and roast in the oven for ~40 minutes, until browned. Mix around on the baking sheet mid-roasting to promote even browning. 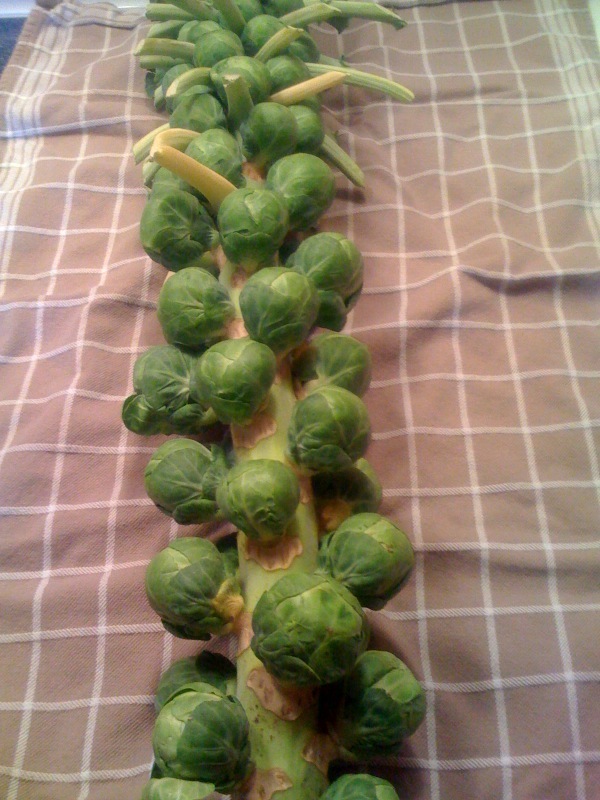 Like them or not, they grow cooler than pretty much any other vegetable. Cody made hash brown casserole and proclaimed it “the most unhealthy thing on the table,” because dessert hadn’t yet been served. After patting dry the hashbrowns, mix everything (but bread crumbs!) together in a large bowl. You’ll need to be liberal with whatever spice you use, if you want it noticed. 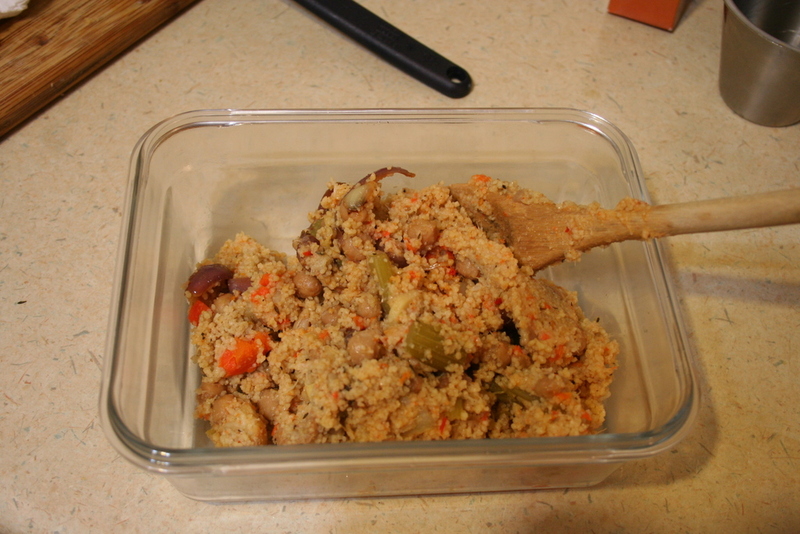 Pour/distribute into a baking dish, then top with bread crumbs. Cook at 350 for 50-70m. Plan to work out a little extra the following few days. Please note: these are approximations, basically I just start with two tablespoons of peanut butter and add the other ingredients til the sauce tastes/looks good. 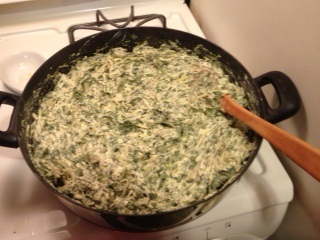 Also, I can’t take credit for this recipe, my friend Uri taught it to me–also with no exact measurements. 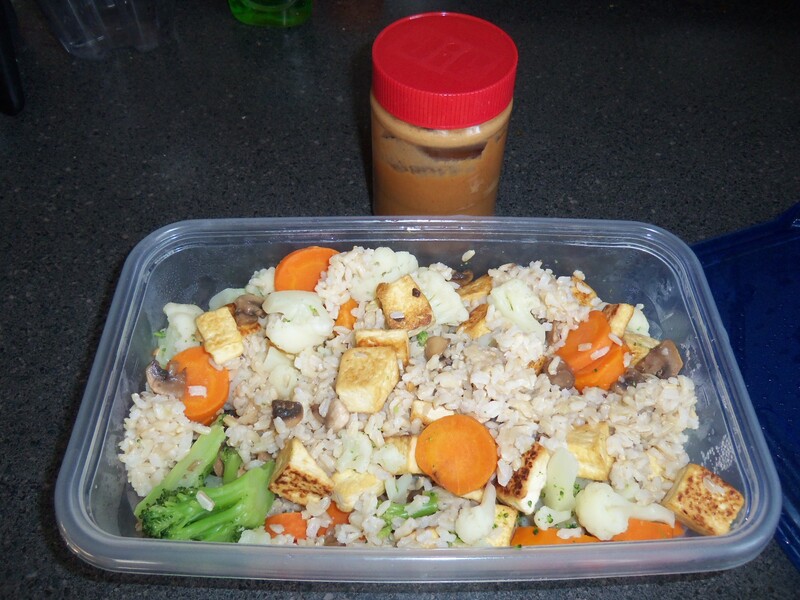 Naomi, at my request, made BBQ tofu. Shoshanah made fake meatballs which, if I remember correctly, were some combination of ground pecans, breadcrumbs, eggs, and spices in a sweet and sour sauce. Jewish food paranoia: persistent, pervasive, and delicious. Jonathan’s Chocolate Pie with a side of whipped cream took over the distinction of unhealthiest thing on the table. Mattea made pear cranberry gingersnap crumble that all got gobbled down. Combine the flour, white sugar, brown sugar, gingersnap crumbs, ginger, white pepper, and salt. Mix in the melted butter until large crumbs form. In a 1 1/2 to 2 quart baking dish, stir the pears, cranberries, lemon juice, lemon zest and vanilla. Whisk the sugar and cornstarch together in a small bowl, then combine it with the fruit mixture in the pan. Crumble the topping mixture over the fruit. Place the crumble on a foil-lined baking sheet (especially if using a 1 1/2 quart baking dish–I didn’t have any issues in a 2 quart dish though) and bake it for 45 minutes, or until the crumble is a shade darker and the fruit is bubbling. Serve immediately (or bring to a Shabbat dinner and share with 20 of your closest friends). My peppermint meringues, so lovingly made to the appropriate crispiness on Thursday night, took the distinction of stickiest thing on the table. So. My longest post yet, with the most pictures, the most recipes, and the most people included. And this is just Friday night. It was a serious blogstravaganza. Part 2 coming soon.